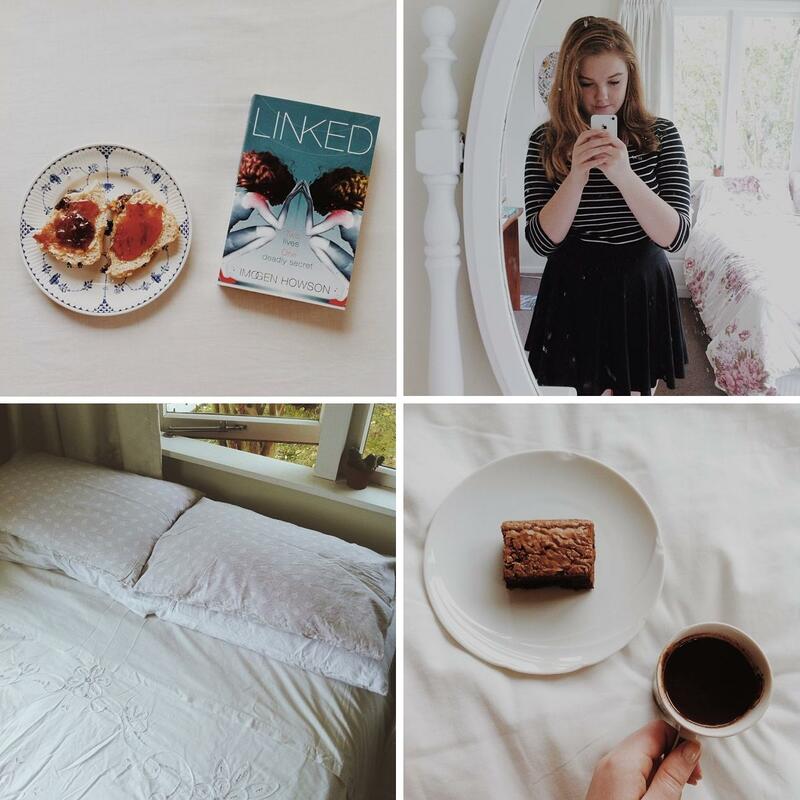 Sunday Stuff #003 | emma etc. This week I've been finishing the last Hunger Game's book and now I'm onto a new book which I randomly picked up from The Warehouse which is about a pair of twins on another planet. A bit strange, but I like sitting down and reading anything anyway. I have been wearing stripes as of late (nothing new here). I will never get enough and think I need at least five more striped shirts because... why not. I've changed my bedding up this week too, I wanted a bit more of a classic look with a plain white duvet and my favourite patterned pillow cases. It feels so fresh and makes my room look brand new! You can follow me on instagram @ohemmalou. I've baked this recipe for brownies twice recently and they're the best I've ever tried. So delicious and so easy. Here's the quick recipe if you want to try: Preheat oven to 180 Celsius/350 Fahrenheit. Chop up 400g dark chocolate. Put half the chocolate and 280g unsalted butter in a small saucepan over a low heat and stir until melted and smooth. Cool slightly. Combine 2 cups/350g brown sugar, 6 eggs and 1 cup/150g plain flour in a bowl with chocolate mixture. Mix to combine. Stir through remaining chocolate pieces. Pour mixture into lightly greased slice tin lined with non-stick baking paper. Bake for 30-35 minutes. Serves 8.
you're bed looks so comfy and cosy!